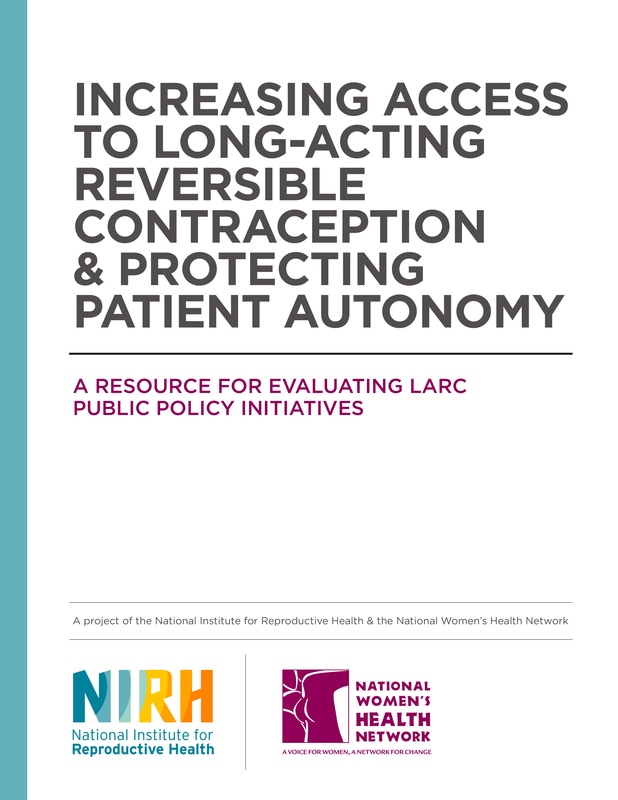 A project of the National Institute for Reproductive Health (NIRH) and the National Women’s Health Network (NWHN), Increasing Access to Long-Acting Reversible Contraception & Protecting Patient Autonomy: A Resource for Evaluating LARC Public Policy Initiatives is a toolkit designed to support reproductive health, rights, and justice advocates assess proposed legislation or policy initiatives related to long-acting reversible contraception (LARC). Advocates can use this toolkit to inform their thinking about the impact of a proposed or existing policy and provide feedback to policymakers and other stakeholders. LARC is a category of contraception that includes intrauterine devices (IUDs) and implants. Learn more about our work with the LARC Access Project here.